1. Sell advertising spots in newsletters | newsletters are incredibly attractive to brands and companies, as they are sent out to your most loyal following. Just be sure that you only work with/promote brands/companies that you actually believe in (aka, those that do not violate your Boycott List--do your research before you quickly say yes! ), as your readers trust you! 2. Sell advertising spots on your site | be sure to specify location (above the scroll, below the scroll, etc), size, and any other specifications and details that might be useful when reaching out to advertisers. I personally don't recommend Google Adsense, as I have only heard negative things about it (please correct me if I'm wrong!). 3. Publish a book | you'd be surprised how many bloggers have published books from the content that is already on their site! This also doubles as a great way to grow your audience offline, as well! 4. Sponsored posts & product reviews | collaborate with brands (that you believe in!) to review and promote their products to your readers. 5. E-book, tutorial, how-to | putting together e-books are really great because producing online content will cost absolutely nothing to you (well, minus time!) --and can be produced in mass! 6. Online course | have mad photography or html skills? Put together an online course to share your skill with your readers. A great list of platforms to host your course can be found at Learning Revolution. 7. Affiliate linking | working with affiliate programs earns you money every time you refer a reader to the host's site--either in the form of pay-per-click or earning commission on a referred sale. There are endless affiliate programs that you can apply for! Do some research and find what type of affiliate program works best for your readership! 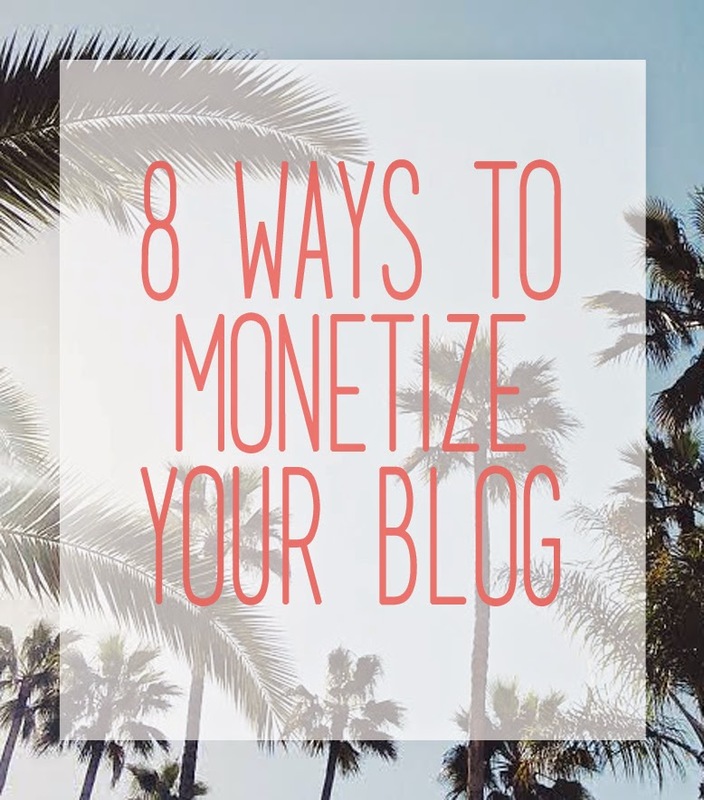 ...just be sure to disclose this on your blog! 8. Offer freelance services | currently, I work as a free-lance writer for a few various online and print publications, which I have all been offered through my blog. But you don't have to wait until hiring managers are smart enough to contact you--be proactive! Contact a few publications you enjoy (it's best to start small!) and see if there are any opportunities to join as a free-lance writer. This was helpful - thank you Hoda!! It's something that I've been thinking of a lot over the past few days, actually. Unfortunately one of the stores I've been working at for the past 8 years is closing, which means I'm out a bit of money every month. I've been considering selling some advertising spots on my blog. On one hand, it feels premature - but on the other, if not now, then when? Lots to think about, but thanks again for this! I hope you're loving Morocco! Hoda joon, This is such a helpful post. Thank you very much for sharing all these valuable tips. I have found it hard to approach companies for collaborations. All collaborations that I have done so far were initiated by the companies themselves. So they approached me. Do you have any advice on how to contact companies best and how specific should the collaboration message be. Haha, well thank you dear and no rush! I recently got pitched to do a sponsored post then when I asked for compensation, no response! Grrrr. Any guidelines, targeted for newer bloggers, would be appreciated. Maybe an anecdote on your first few experiences?